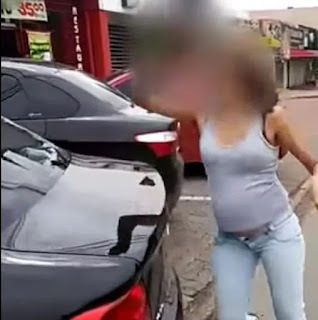 A pregnant woman went haywire in Celilania, Brasilia on Saturday December 5th after she spotted spotted her husband enjoying a himself with another mistress at a restaurant. 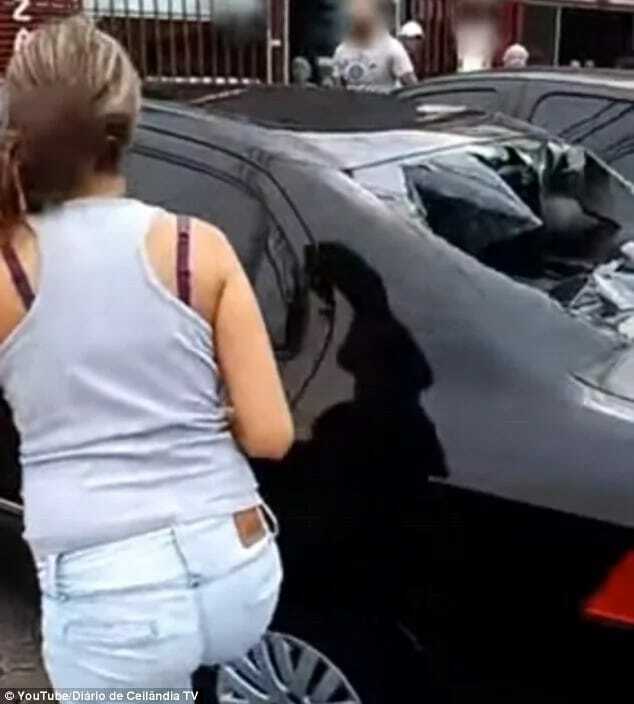 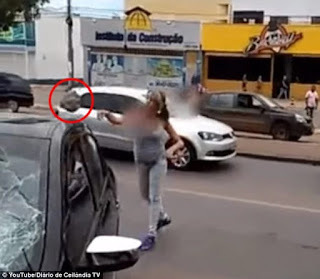 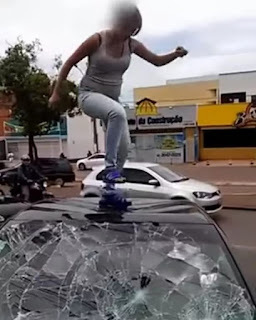 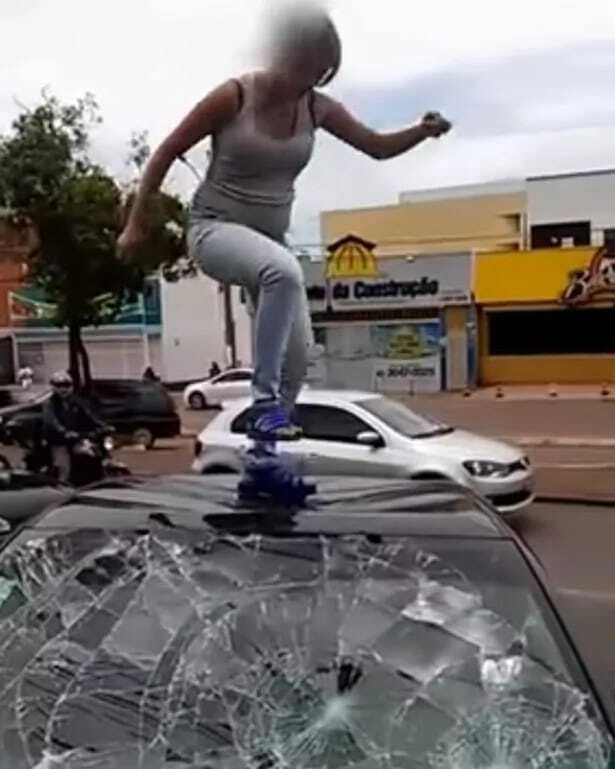 The woman was spotted smashing her cheating husband's car using her legs and fists as her rowdy actions pulled a crowd of on lookers who were even shocked by her current pregnant condition. The husband cheating husband choose not to intervene and stayed in the restaurant and also no cops were called at the scene.